Hot Melt and Liquid Adhesives for Any Application From case sealing to book binding, we have the industrial strength adhesives you need. Glue Dots® Adhesive Solutions Do More! Achieve productivity with ease by using Glue Dots® adhesive solutions. These adhesives have been successfully used to Secure product orientation before shrink-wrapping, Repair hot melt failure seamlessly and invisibly, Attach pieces or holding components in place before assembly, and much more! Package With Ease! 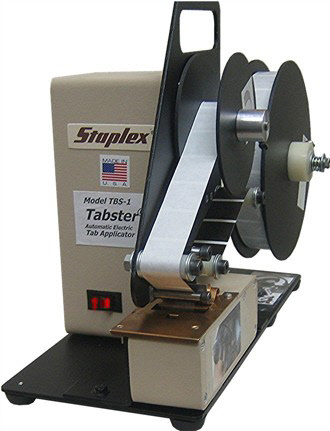 Our packaging equipment includes bulk hot melt dispensers, hot and cold rolling equipment, glue guns, and labelers. State of the Art Shipping Equipment Star Packaging Supplies has a complete line of pallet wrapping machines from turntables to fully automatic wrappers to speed up shipping. Star Packaging is proud to offer an extensive collection of industrial adhesives and adhesive machinery by some of the best names in the industry. We understand that sometimes duct tape just won’t make everything stick. This is why it’s important to check out our current inventory to determine the best adhesives for your industry. Using the wrong type of bonding agent can lead to a connection that is too strong, extremely fragile, or prone to deterioration over time depending on the circumstances. Shop online or contact Star Packaging Supplies for expert help with shipping, packing or adhesive products. Water based adhesives are dependent upon the evaporation or absorption of water from the solution to create a strong bond. Typically they are composed of vegetable or other natural sources, though some different synthetics may be used as well. They can come in the form of premixed or “add water” solutions and their strength depends on a wide range of different factors. Industries using water- based adhesive solutions tend to have better luck with plastics or metals. Set time is short; it can be applied in a multitude of different ways and is great for large surface areas. Water-based adhesives include glues, powders, sprays, pastes, and more! 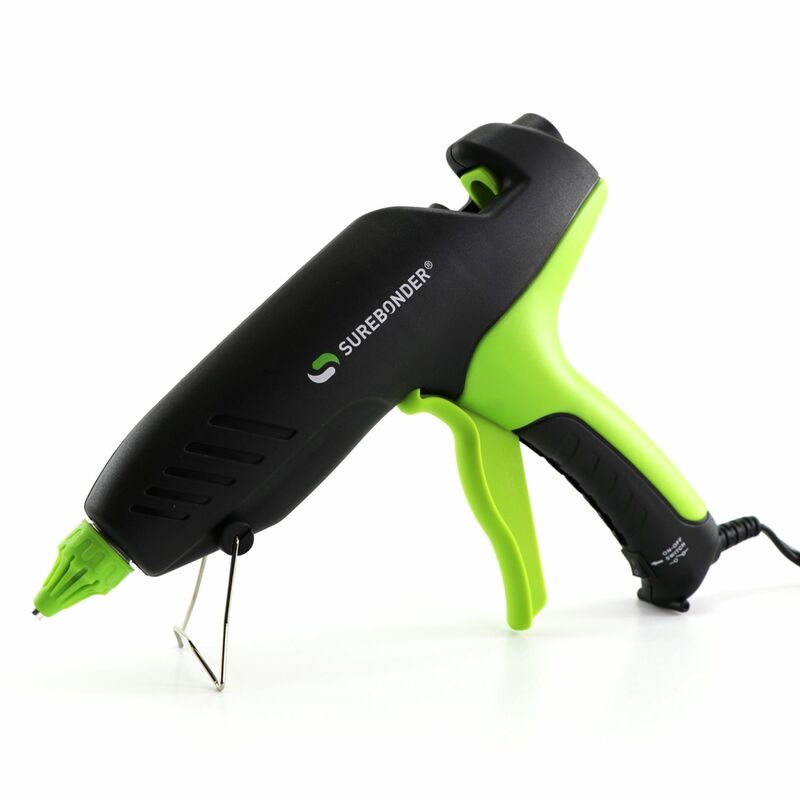 Hot melt adhesives, typically thought of as a “glue gun” adhesive, use a solid stick combined with a heating gun in order melt the adhesive down to a workable form. The soften adhesive then dries quickly once the heat source is removed, so work must be done with a significant amount of haste in mind. Benefits to hot melt adhesives include the fact that the drying process is drastically reduced, bonds tend to last longer, and connections are easy to breakdown/dispose of. Downsides can include weakened strength under high temperatures, difficulty covering a large surface area, and application to materials that are sensitive to extreme heat. Also hot glue guns can be extremely dangerous, and should be handled with extreme caution. Glue Dots are a revolutionary new product that is impacting everything from entire industrial processes, to small DIY home decorating projects. 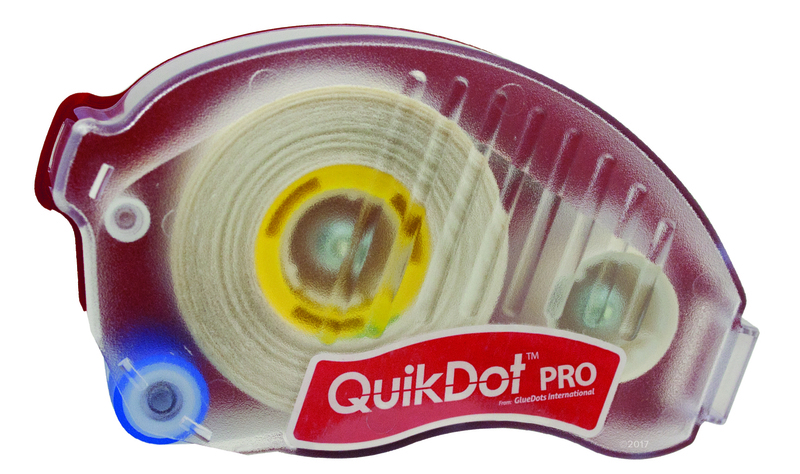 Glue Dots are individual, tiny, adhesive units that are attached to a long thin strip. They are activated by pressure, and come in a variety of different available strengths depending on what you are attempting to do. They can be attached individually, in a line directly off of the strip, or can be applied using special applicators. Buy Glue Dots wholesale from Star Packaging Supplies for the best price on dispensers, applicators & industrial Glue Dots adhesive. It may sounds funny, but Glue Dots are also known by a lot of people by the name of Booger Glue! Booger Glue FDA approved, and considered to be safe for direct food contact! Glue dots are sturdy enough for home improvement projects around the house, yet they are still great glue stick substitute for children’s’ craft projects! We sell labeling equipment for all types of applications, including bottle labelers, hand held label applicators and wafer seal applicators. Our labeling specialists can help you make your professional labeling system more efficient—just give us a call! Sometimes when you need an adhesive it’s simply hard to beat good old-fashioned tape. Star Packaging carries a wide variety of different tapes. Our packaging tapes come in different adhesive strengths, levels of conductivity, and serve completely different purposes. We carry everything from your standard electrician’s favorite electrical tape, to the world’s most well-known, multi-purpose, iconic, fix-all solution: duct tape. If you need to stock up on your favorite adhesives Star Packaging Supplies is your number one packaging supply specialist. Questions? Our friendly staff will help you decide. From our headquarters in Milwaukee, we offer local support to businesses throughout Southeast Wisconsin, and can provide you with hands-on assistance that a faceless online distributor simply cannot match. All of our products come with our commitment to excellence guarantee, and we are willing to assist you with any questions that you may have. Contact Star Packaging Supplies today to order packaging or assembly adhesives.